While Cleveland apartment rent growth remains one of the softest among the nation’s largest 50 markets, occupancy in the Ohio market recently scaled ahead of the national average. 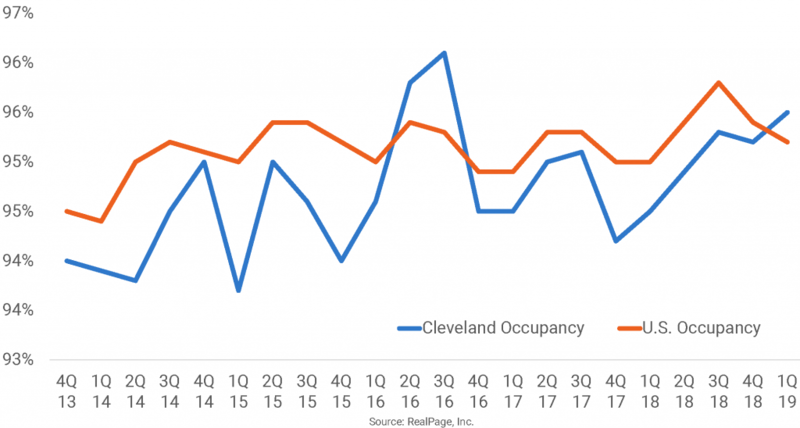 At 95.5%, occupancy in Cleveland is at its strongest point since the decade high of 96.1% from 3rd quarter 2016, which was the last time the performance here topped the national norm. Helping support strong occupancy, new apartment supply has been limited recently. Net inventory growth has been mild, averaging at just 0.5% annually in the past 10 years.